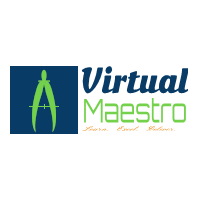 Virtual Maestro: What is Azure Portal? An online management portal provides the easy way to manage the resources into Azure. You can use online portal to create virtual networks, use cloud services, set up VMs, set up storage accounts, define websites, and so on. Management Portal. The new one under construction is called the Azure Preview Portal. The two portals have different look and feel, and you navigate each one differently with their URLs. Not all features have been migrated to the Azure Preview Portal yet. However, some features are only in the new portal, such as enabling and managing the Redis Cache. The Azure Preview Portal is located at portal.microsoft.com. The current production version of the Azure Management Portal is at manage.windowsazure.com. What is VDI and Horizon view 6.0?